Better Batter Pastry Flour Hack: Mock Cup4Cup | Great gluten free recipes for every occasion. Some things must be impossible. Everybody says so. You can’t do this, or you can’t do that. The thing is, I’m still looking for the line of demarcation between gluten-free possible and gluten-free impossible. Since I haven’t found it yet, I’ll just keep pushing ahead. When I started testing gluten-free flours, I found that Cup4Cup made amazing gluten-free pastry. The whole experience was dreamy, from the way it behaved raw to the way it baked up. So light and flaky. And I rather enjoyed the whole thing. But I’d prefer not to buy different gluten-free flour blends for different purposes—too complicated for me. Instead, I figured I’d just hack Better Batter all purpose gluten-free flour to make it into pastry flour, cake flour, bread flour, self-rising flour. You get the idea. It’s a new series, here on the blog. I think I’ll call it Gluten-Free Flour Hacks. This go-round, I made Better Batter into a mock Cup4Cup gluten-free flour. It’s cheaper than buying Cup4Cup, which costs a pretty penny, and it’s easier than keeping different flour blends on hand all the time. Most of what you see here is just my basic recipe for gluten-free pastry crust, not puff pastry. 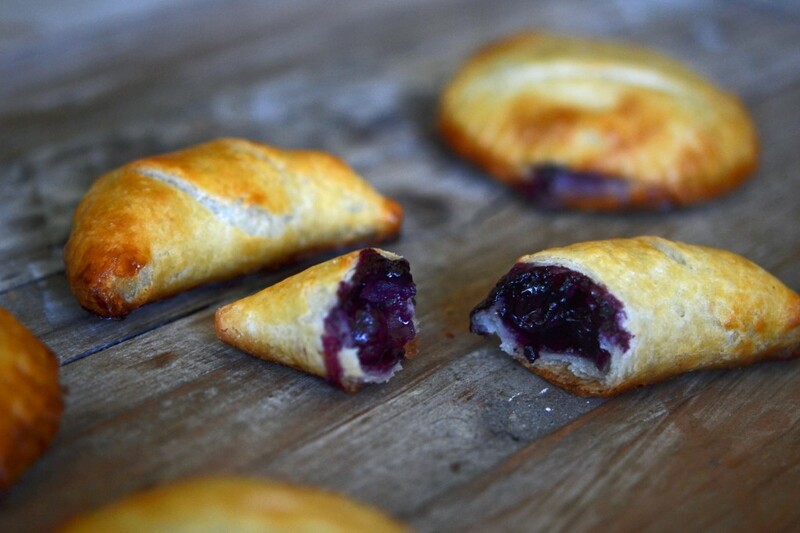 And these blueberry mini pies were incredibly light and flaky, and the dough was smooth and incredibly easy to work with. 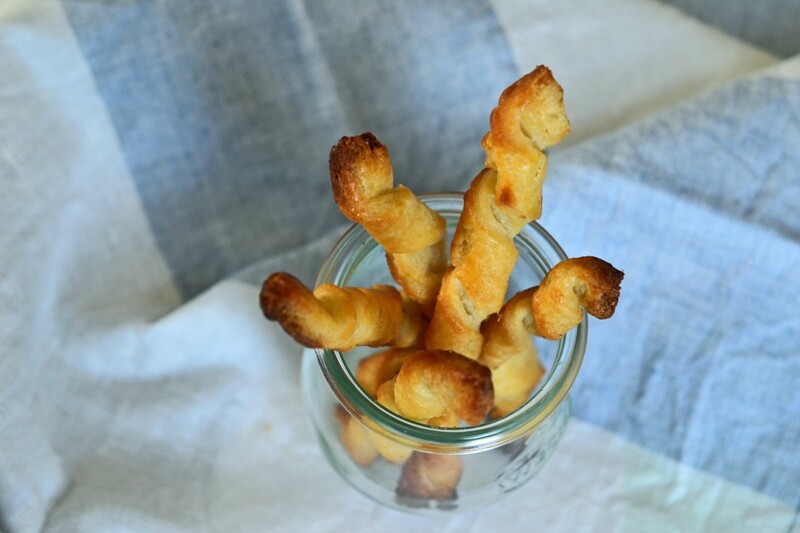 I did use this flour to make gluten-free puff pastry, too (I used some for these cheese straws), and it behaved just as I remember Cup4Cup had. In a blender or food processor, grind the nonfat dry milk into a fine powder. 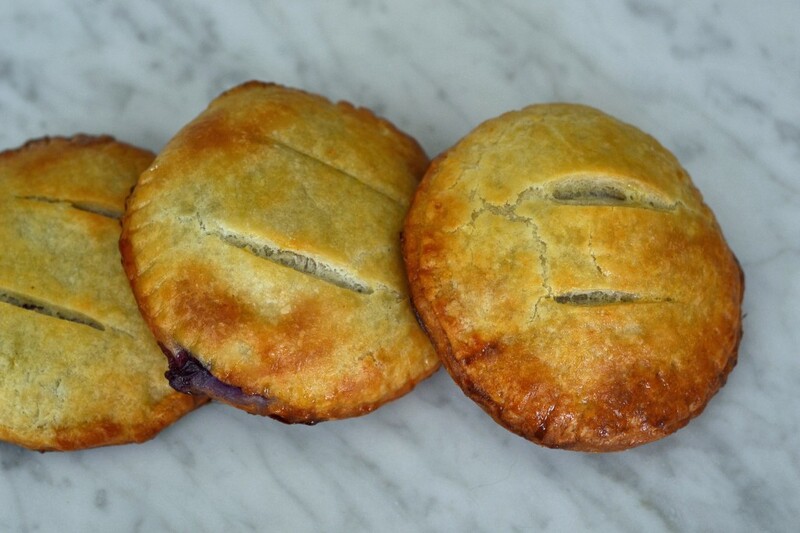 To make 1 cup of mock Cup4Cup gluten-free pastry flour, combine the finely ground nonfat dry milk, Better Batter and cornstarch in a large bowl and whisk to combine well. Store in an air-tight container until ready to use. As of the time of this post, Carnation Nonfat Dry Milk Powder is included in Nestle’s gluten-free products list. To ensure a gluten-free product, always check the label and the manufacturer’s website for current information. P.S. A blog is more work and a lot more expensive than it may look! I really appreciate your buying a copy of My Cookbook to support my blog habit. P.P.S. I hope you had a happy Mother’s Day. I really do. And I hope someone baked for you. Or at least bought for you. Or at least gave you some peace and quiet. Oh how I love a nice big slice of peace and quiet! oh Nicole…I think that this hack will be just what I need to finally get the cream wafer cookie recipe to work! That cookie is so pastry like-light and flaky that it would just have to work don’t you think? Those cookies are the only thing I have ever made from your recipes that didn’t rock my socks. :( But I think just may be the ticket to success! I’ll keep you posted. The secret to that recipe is to freeze the dough at every turn. I’ve tried it in other ways, and that’s the only way that works. Feel free to experiment with the cake flour, though. I have been gluten free for about 3 years. Have tried and trashed many a recipe – but NOT any of yours. They are always spot on and I thank you, thank you, thank you for saving me time, money and lots of frustration. I have your first cookbook and have pre-ordered your next one from Amazon. You are the bomb!!! If you are ever down the way of S.C., give me a shout – would love to meet up. Brilliant!! Love this idea. Went to g-free cooking class last week. Very helpful, but the baker used no less than 4 different flour mixes. Dear daughter got me the mixes for Mother’s Day. But holy smokes, now my pantry is packed with mixes!!! Again, brilliant! Can’t wait for more “hacks”. Maybe that will be the basis for your 3rd cookbook Nicole?! On another note, I made your Chocolate Breakfast Muffins. Holy Smokes! I received rave reviews and some gluten eaters had them and had no idea. They were shocked when someone told them they were GF. I LOVE THAT! Thanks for making me a hero. Hey, Kristi, I’m so glad those muffins went over big. They’re a personal favorite of mine. You are a hero! Nicole, thank you for taking the time to perform the gluten free flour test. I can’t believe you came up with this wonderful C4C substitution! I have C4C in my pantry, but I’m afraid to use it because it’s so expensive! 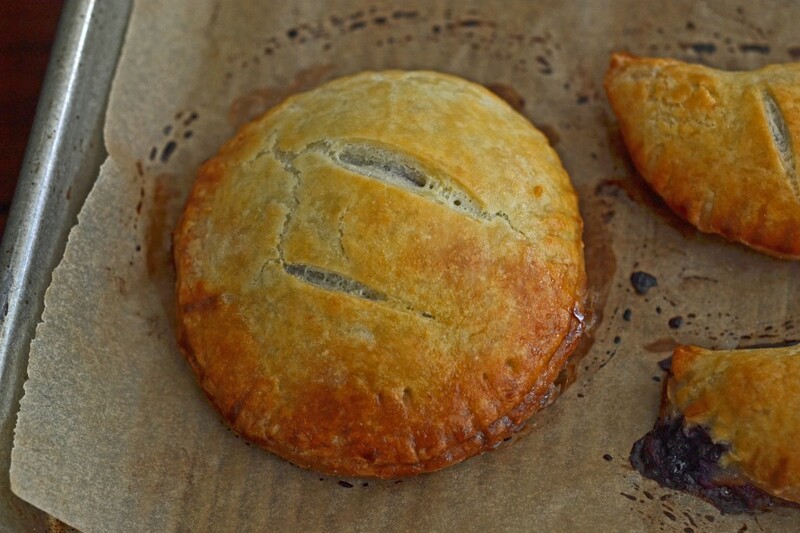 I’m definitely going to use it up on puff pastry (I’ve been DYING for baked brie with cranberries and walnuts) and some ciabatta based on your test results. I come up with recipes from time to time (this weekend was orange cranberry muffins), but am currently too busy to do the type of recipe formulation and testing you do. Thank you for sharing your knowledge with us! I’m going to order the cookbook right now! I totally get that you’re babying the Cup4Cup, Ligea. Makes sense to me. Thanks so much for ordering a copy of my cookbook! I haven’t tested this with any substitutions, which would essentially create a new blend. Feel free to experiment. I am so looking forward to a dairy free version of the pastry flour hack. 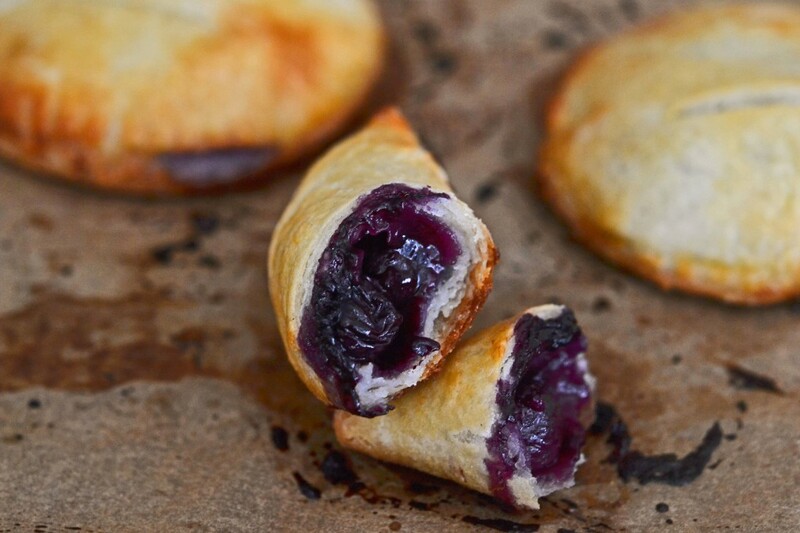 With this in mind, I am drooling over the blueberry mini pies. However, I also have a sensitivity to corn which means no cornstarch. What can I use in its place? While I am not allergic or sensitive to sugar, my nutritionist recommends a substitute like agave or stevia. Thoughts, please. Thank you. What did you use as your filling? 1 cup (140g) blueberries + 1/3 cup (67g) granulated sugar + 2 tablespoons (16g) cornstarch + 1 tablespoon freshly squeezed lemon juice, mixed and allowed to marinate for a few minutes. Yummy! Sometimes I use frozen blueberries-did you use fresh or frozen? I hate for it to be too liquidy! I have done both, but I usually prefer frozen because they’re generally more ‘perfect.’ The cornstarch ensures that the mixture doesn’t have too much liquid. I wonder if you’ve read the “Ideas in Food” blog’s experiments in gluten free flour mixes, very interesting! Well Nicole, just when I thought I was doomed to have to buy yet some more flour for pastry cooking, (I’ve got 30lbs worth of back stock of better batter flour that I just bought) I thank you for making me not have to buy any more, now I can just use what I have, You my dear are a genius!!! Fer Realz!!! We love you more than you know, and just so you do know I made the devil’s food cake yesterday and the family LOVED them!! I love you. I love you. I love you. I love C4C for something and buying it is expensive and a PAIN. I am so happy. I tried doing my own hack and it was OK but now I have this. Woohoo! Just to clarify, are you using this blend for a regular pie crust too? And do you add the powdered sugar to it for a sweet pie? I think I need to get a scale. You have finally made me do it. It’s all your fault. But I am not blaming you. I am thanking you. You make me want to bake and cook more! By the way I finally took the time to make the chocolate chip cookies from your book. I am thanking you for that too. I made them Saturday and they were delicious. But I was sure that like most GF cookies, they would be dry and crumbly on Sunday. But they were still soft and chewy! And they are soft today too. I also put some in the freezer. I will be checking those soon to see how they are after freezing. The only problem? My husband (who is not GF except he does it for me) loves them. Neither of us can stop eating them. That’s not a bad thing except for my hips. I have no will power when it comes to good GF baking–with BB flour and recipes from your blog and cookbook. Oh no!!! I was SO waiting for this and then it has milk…a huge no no for me. Sigh…back to the drawing board. Thanks, Nicole! You are awesome!! I really appreciate the work you do! Please do! Some of us need that as badly as we need GF! SWEET! I was going to say “Oh no! Dairy…no can do.” As usual, you always come through for us, Nicole! Thanks, and am eagerly waiting. Yea!! Glad I read the comments! I was going to suggest that you could have a link or something that gave the dairy free alt. because I love your recipes and hate to go looking for a dairy free version. Those look yummy. I baked my mom a gluten free raspberry cobbler yesterday, using Bloomfield Farms all purpose baking mix. I tend to lean towards cobblers and dump cakes, anything that doesn’t dirty up a lot of dishes or take a lot of time, but I sure wish I lived next door to you to help eat your leftovers and failures (if there are any).